As elder seniors from the Silent Generation (born between 1925-1942) advance in age and struggle to manage their own financial resources, their baby boomer children often step in to fill the gap. 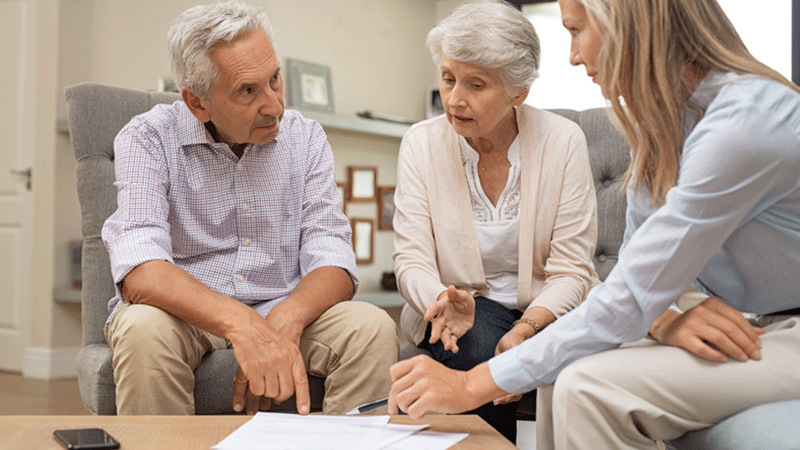 When serving as trustees and executors for their parents’ estates, baby boomers must make tough choices on their parents’ behalf. Some of those decisions may include weighing the options for an unwanted life insurance policy that was purchased years ago as income protection for family members. This case example illustrates how a life settlement for a $4.5 million policy can sometimes be a prudent decision when escalating premiums begin to drain financial resources that are earmarked for retirement. The insured in this case was an 85-year old physician whose baby boomer children were trustees for the family’s estate. The policy was purchased by the children as part of the family’s comprehensive estate plan, with the intent that the premiums would be funded by withdrawals from a traditional IRA account owned by the children. Although purchasing the policy on their father made sense initially as it related to the family’s estate planning strategy and income protection needs, it became clear as time passed that the policy was becoming a financial burden. The children had to decrease the balance in their IRA account by withdrawing $270,000 annually to generate a post-tax net of $170,000 to continue paying the annual premiums. The trustees and their estate planning team reviewed the options with their insurance advisor. Did the policy have a cash surrender value? Should they allow the policy to lapse? What were their options when it came to protecting the substantial investment they had already made into the policy? The family’s insurance advisor noted that the insured’s age and life expectancy generally met the requirements for a life settlement. The entire estate planning team agreed that shopping the policy in the secondary market for the highest offer was the best course of action. Asset Life Settlements was asked to market the policy to multiple funders in the secondary market. We submitted the case to nearly 15 funders and received 12 bids – the lowest of which started at $1 million. At the end of the bidding process, the highest offer came in at $2.1 million which the family agreed to accept. Never consider allowing a policy to lapse before exploring the insured’s eligibility for a life settlement, and never accept just one offer. As noted above, the initial bid for this $4.5 million policy was $1 million. Had the client accepted the first offer that came along, they would have left that much and more on the table. In short, advisors/sellers need to be wary of a single-provider, one-offer option.